Rhode Island Hot Wieners... Sandwich or Not? 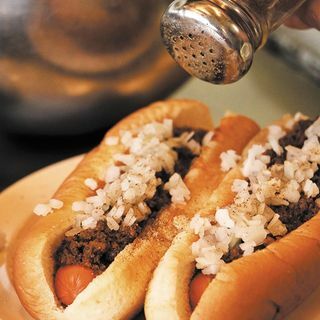 Men's Health came out with an article that showed every iconic state sandwich, with Rhode Island controversially having Hot Wieners being the staple child for the smallest state but it begs the question, is a hot dog a sandwich? Mike does not believe so. what do you think?